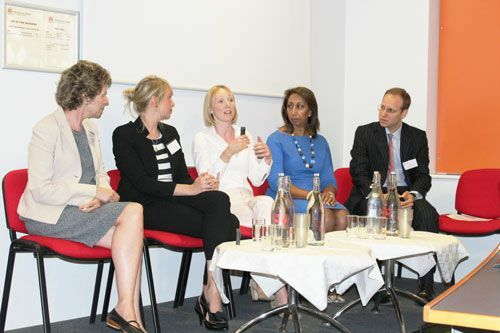 Report on The City Law School’s conference, “Opening Doors and Removing Glass Ceilings – Widening Participation in the Legal Professions”, held on 10th July 2015. 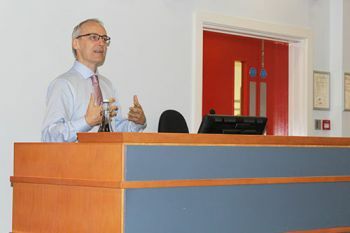 On 10th July, The City Law School’s Centre for the Study of Legal Professional Practice hosted a wide-ranging conference titled, “Opening Doors and Removing Glass Ceilings – Widening Participation in the Legal Professions”. 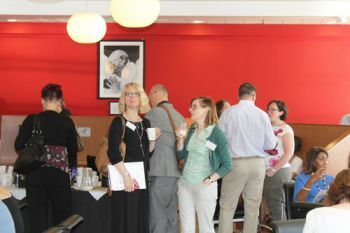 The conference, attended by over 70 people – including academics, practising lawyers and members of the judiciary - discussed a broad variety of issues affecting people of diverse backgrounds attempting to enter and progress within the legal professions in England and Wales. The keynote speech was delivered by Paul Johnston, Director of the Secretariat in the Social Mobility & Child Poverty Commission. He drew attention to the disproportionate representation of privately educated and Oxbridge graduates across several professions including the legal profession and the fact that a perceived ‘poshness test’ has been a barrier to persons from less privileged backgrounds entering the legal professions. Johnston highlighted unconscious bias exhibited by some people within law firms in hiring persons who they identify as being ‘more like them’. There were five stimulating sessions during the course of the conference: Raising Aspirations to Law: School to Higher Education; Progression in Law Careers: What’s the Problem? ; Bringing Outsiders Inside: Work Experience, Training Contracts, Pupillages & Apprenticeships; Solving the Problems: Initiatives for Reaching & Shattering the Glass Ceiling, and; Widening Participation in the Judiciary. Dr Claire Crawford, Assistant Professor at the University of Warwick, illustrated the importance of attainment in secondary education to widening participation at university and therefore ultimately the legal profession. Dr Louise Ashley, a Lecturer at Royal Holloway College and Cass Business School grappled additionally with the issue of female progression within the legal professions, mentioning the ‘unpopularity’ of discussions around the equality of men and women in the context of work and pay. She called for structural as distinct from mere cultural change to facilitate better professional mobility for women. Dr Ashley classified the lack of equality in the professions as a “wicked” problem, one which was complicated by systemic issues internal and external to the professions. Speaking in his capacity as Chairman of the Bar Council’s Young Barristers Committee, Daniel Sternberg (an alumnus of The City Law School), said the widening gap between wealthy and less privileged students combined with recent legal aid cuts had made it very difficult for recently qualified barristers to progress in their careers. Sternberg mentioned some pupils earning a mere £2.40 an hour and some junior tenants earning even less. Executive Director of the Black Solicitors Network, Cordella Bart-Stewart raised concerns about the “appalling” lack of attainment of students from Black and Minority Ethnic (BME) backgrounds at law schools in the UK. She said there was a “lack of awareness of the problems they faced” and that BME law graduates tended to be over-represented as paralegals in large law firms with few of them rising through the ranks to become partners in these firms. She called for “cultural change” within the professions. Various conference speakers, including Rolande Anderson, Chair of the Equality and Diversity Committee of the Bar Standards Board and Patricia Robertson QC, Vice Chair of the Bar Standards Board, spoke of the importance of gathering and analysing statistics on the numbers of women and other minority groups within the legal professions so as to address more effectively the disadvantages that they face in their careers including those inhibiting them from aspiring for top positions within firms and those applying for Silk. The final session addressed similar issues for lawyers considering a career on the Bench. Professor Lisa Webley of Westminster University, Martin Forde QC of the Judicial Appointments Commission and Mrs Justice Laura Cox made a plea for less talk and more action to tackle the lack of diversity in the judiciary so that it better reflects the society it serves. The Judicial Appointments Commission is an independent commission that selects candidates for judicial office in courts and tribunals in England and Wales and for some tribunals whose jurisdiction extends to Scotland or Northern Ireland.